Fighters of Kurdish Popular Committees in Syria have killed at least 83 foreign terrorists affiliated to the al-Qaeda-linked al-Nusra Front in northern province of al-Raqqa. 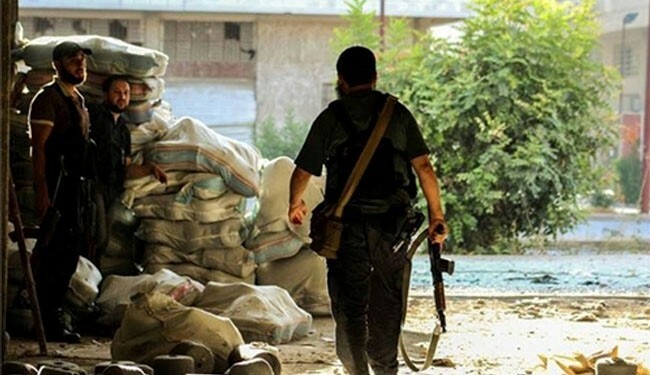 The clashes broke out in Tal Abyad village on Monday when the al-Nusra terrorists were attempting to infiltrate into the area that is under control of the Kurdish fighters, head of al-Alam bureau in Damascus Hossein Morteza said on Tuesday. Militants from Libya and Tunisia were among the dead, our correspondent says. According to Morteza, the foreign-backed al-Nusra terrorists are simultaneously fighting with other militant groups such as the so-called Free Syria Army (FSA) in Aleppo, Deir ez-Zor and al-Raqqa. According to reports, Western powers and their regional allies, especially Qatar, Saudi Arabia, and Turkey, are supporting the militants operating inside Syria.